Experience Playa del Carmen’s wild daytime party scene on an afternoon crawl through the city’s best rooftop pools and beach clubs. With an event team to keep the party going, you’ll visit three great venues for drinks, music, and Caribbean sunshine. 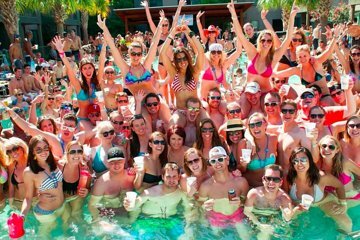 This 6-hour pool party tour includes welcome drinks at each location, skip-the-line admission, and all-day drinks specials so you can enjoy the day worry free.